A freeware, open‐source, web‐based framework for distribution and analysis of single and parallel corpora. 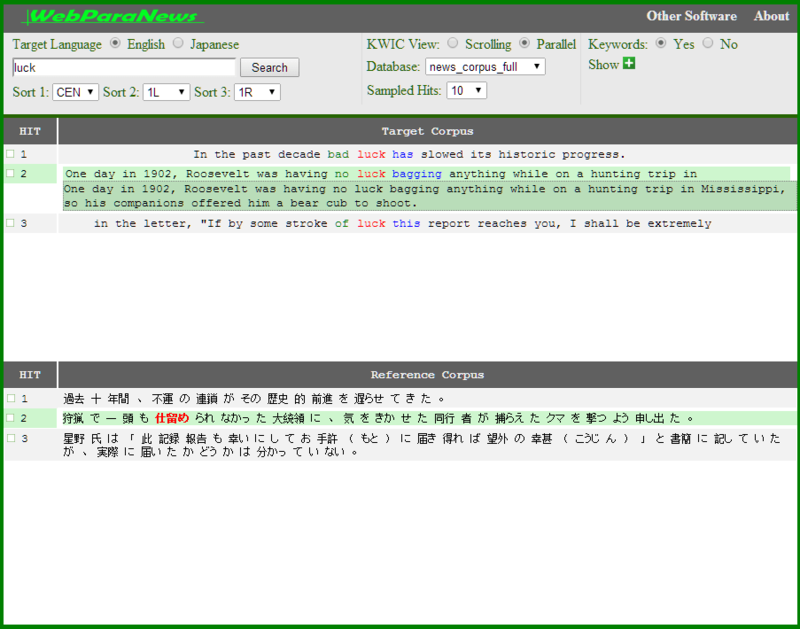 A web-based interface to the Japanese-English News Articles database of the National Institute of Information and Communications Technology (NICT). WebParaNews is developed in collaboration with Kiyomi CHUJO (Nihon University, Japan). Anthony, L. (2013). “A critical look at software tools in corpus linguistics”. Linguistic Research 30 (2): 141–161. Available online. Anthony, L, Kiyomi, Ch. and Oghigian, K. (2011). 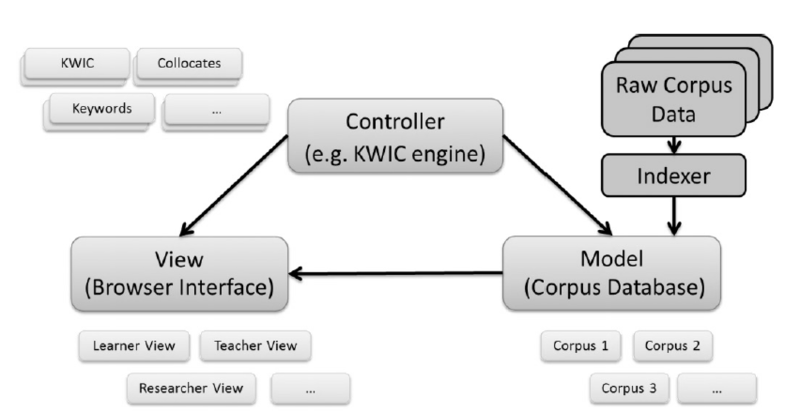 “A novel, web-based, parallel concordancer for use in the ESL/EFL classroom”. In J. Newman (ed). Corpus-based studies in language use, language learning, and language documentation, 123–138. Amsterdam: Rodopi.